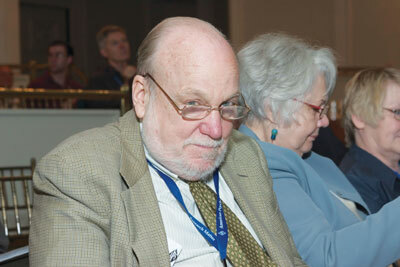 APS Fellow and Charter Member Robyn Dawes died December 14, 2010 from complications of Parkinson’s disease. He was 74. 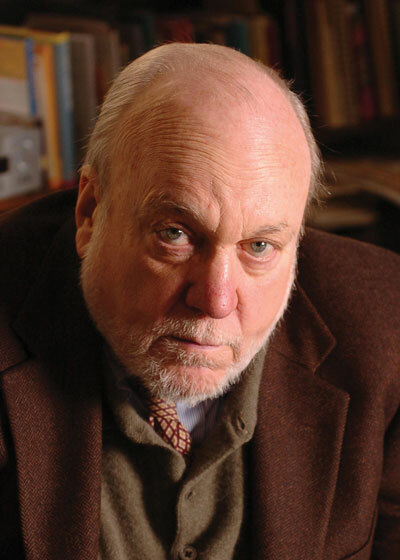 Dawes was the Charles J. Queenan Jr. University Professor of Psychology at Carnegie Mellon University where he made significant contributions to the field of behavioral decision research and had an important influence on several areas of psychologicalscience. He taught psychology at the University of Oregon, serving as department head for five years, before moving to Carnegie Mellon University where he chaired the Department of Social and Decision Sciences (SDS) until he retired in 2009. After receiving his BA in Philosophy at Harvard in 1958, Dawes went on to obtain his Master’s in Clinical Psychology in 1960, his PhD in Mathematical Psychology in 1963 — both from the University of Michigan. His interests and research focused on intuitive expertise, human cooperation, retrospective memory, methodology, and United States AIDS policy. Dawes was also an accomplished musician who composed a variety of classical piano pieces. The list of his awards and recognitions is extensive. Dawes was a Fellow in the American Academy of Arts and Sciences, a member of the National Research Council’s Committee on AIDS Research, and a Fellow of the American Statistical Association. He was awarded the APA William James Award for his book Rational Choice in an Uncertain World. Dawes authored several other books including Mathematical Psychology: An Elementary Introduction, The Fundamentals of Attitude MeasurementEveryday Irrationality: How Pseudoscientists, Lunatics and the Rest of Us Fail to Think Rationally. 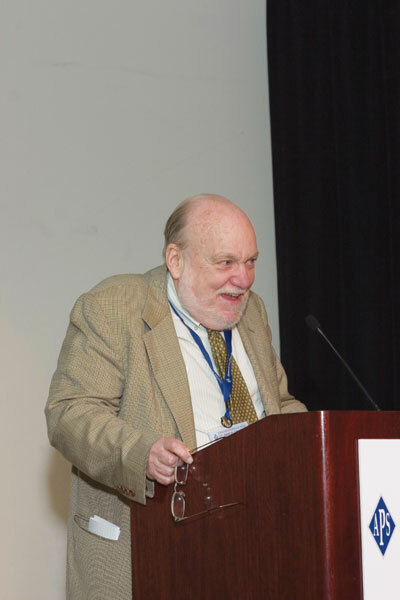 Dawes not only had a significant influence on the realm of psychological science, but he has deeply touched the lives of many friends and colleagues, as seen through the following remembrances. My first direct meeting with Robyn occurred many years ago, very early in my academic career and when my status was about that of a non-entity. [At that time Robyn spent hours answering my questions and exchanging thoughts.] From this initial encounter I drew a number of tentative inferences about Robyn, which were consistently corroborated over the years. First, Robyn was one of most generous individuals I ever met. I was amazed, time and again, with his willingness to provide the benefit of his intellect and thinking not only to me but to many others, no matter a person’s stature or lack thereof. Robyn was extraordinarily motivated by the pursuit of ideas and learning to advance knowledge, and not by self-gain, which is why he was so giving of his time and talents…. Second, as I found on that occasion and subsequently, Robyn did not seem overly concerned with following a linear sequence in his oral presentations, something I believe stemmed partly from his highly original and quick mind. This style of discourse often compelled me to repeat some variation of, “I’m sorry but I didn’t follow you.” I assume I was not alone in this occasional befuddlement, but it was a small downside in comparison to the many gems one gleaned along the conversational route. Third, Robyn had remarkable intellectual creativity. He had little extrinsic worry about what was considered the conventional or received view, rather he formulated his own conclusions about things. On many occasions in discussions and in his writings, Robyn came up with original and fresh ideas that corrected long-standing and widely held misconceptions or that shed new and productive light on difficult problems. 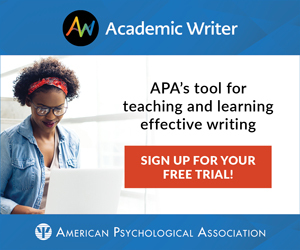 Fourth, Robyn did not mind telling you when he thought you were wrong, and he was usually able to set forth strong reasons for his conviction … On a broader level, Robyn’s served this same role of master critiquer for many individuals and for much work in psychology and decision making. Although we should not overlook Robyn’s many positive suggestions for addressing problems he described or uncovered, his ability to detect flaws and shortcomings in the first place was truly exceptional and has been of tremendous benefit in advancing knowledge. And finally, fifth … was Robyn’s penetrating intellect. It was this unusual combination of creativity, independent mindedness and disregard of intellectual fads, an exceptional capacity to detect flaws and shortcomings in ideas, remarkable generosity in sharing his intellectual capabilities and products with others, together with just plain hard work and productivity, which yielded such an important impact on the field. 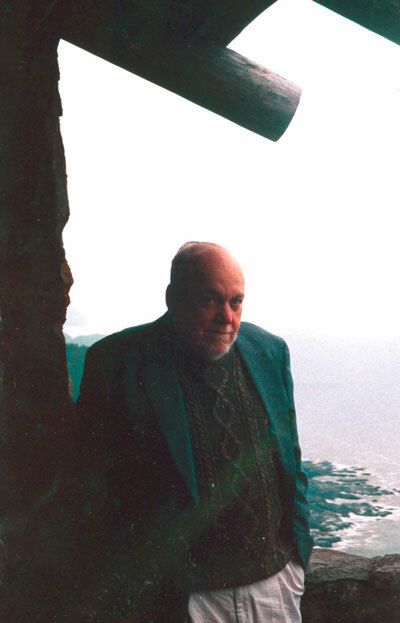 The essence of all this is that Robyn changed and improved the thinking of many individuals, fulfilling his fundamental aim of promoting rational thought … Robyn was a person of good will who, in areas in which errors and thinking limitations can be measured in human costs, provided much illumination. How sad it is to say goodbye to such a wonderful friend, source of inspiration and knowledge, original intellect, and truly good spirit. He will remain alive and well in our remembrances and thoughts, such as on occasions we stop and think further before accepting something too readily, a gift for which we all should be grateful. Excerpted from the introduction to David Faust’s chapter in a book honoring Robyn Dawes, Rationality and Social Responsibility: Essays in Honor of Robyn Dawes, followed by a brief addition by the author. Robyn Dawes combined an intense, coherent, practical moral sense with a brilliant, relentless rationality. This combination made Robyn the most “complete mind” I have ever known. I am proud that my most valuable contribution to the field of judgment and decision-making will be through my role as Robyn’s sidekick. I worked with Robyn to take his beautiful book Rational Choice in an Uncertain World, and to explicate its clean, idiosyncratic text into a much uglier book, but one that was more accessible to readers, like myself, who were not as smart as Robyn. I will always be grateful to and inspired by Robyn’s unique example of the intellectual life expressed fully. Robyn was a member of my advisory committee during my first two years of graduate school at the University of Oregon. He was also the chair of the Psychology Department, and I petitioned him to waive the statistics requirement because I overconfidently thought I had learned everything I needed to know in Germany. A big mistake. Robyn also taught an advanced undergraduate course on decision making, which I was eligible to take, but did not. A mammoth mistake. Robyn’s lecture notes turned into his award-winning book Rational Choice in an Uncertain World. Every Wednesday evening, the social/personality faculty and the graduate students would meet in a faculty home, drink beer, eat chips, and discuss research ideas and early data. This was the key to our education. Robyn would sit and listen intently, and then comment. His remarks revealed a stream of thought breaking to the surface far ahead of any one of us. The experience was jarring, humbling, and, in the end, profoundly enriching. Robyn’s presence consistently reflected three things: his brilliance, his concern for students to flourish by doing their best research, and his limited understanding of others needing time to catch up with his high-speed rational mind. In a probabilistic world, a single instance cannot refute a general trend. And so, Robyn’s enthusiastic expectation that we could keep up with his Olympic mind was a rare case in which the consensus effect was actually false. listening because he was busily scribbling equations on a rumpled piece of paper (see Jennifer Lerner’s recollection). As the talk came to a close, he handed me the paper and asked if I agreed that his derivation refuted some key element of expected utility theory. While I stared at the equations, pondering the limitations of my mind, Robyn proceeded to ask Monica the most penetrating and constructive question. In one typical correspondence episode, I had sent Robyn some ideas regarding inductive reasoning (I forget which). When the response came (handwritten), the first line was: “Joachim, I disagree with your analysis.” The rest was another “Robynesque” (a term I first heard used by Cristina Bicchieri) contribution to my education. The realization of how much I (among many others) owe him has grown steadily, and I suspect that I haven’t grasped the full extent of it. Robyn and I met in the back row of a Gene McCarthy for President organizing meeting in Eugene in 1967, the year that both of us arrived at the University of Oregon. We got on immediately, offering to plan the grassroots campaigning in the city of Eugene — we were social scientists, after all, right? Gene won in Oregon and overwhelmingly in Eugene … with, of course, Bobby Kennedy being assassinated a few days later. With nothing practical left to do, Robyn and I wrote and published a paper on the logic of how we’d organized door to door campaigning, and why it (seemed to have) worked. We discovered that we shared an interest in cooperative behavior — me coming from a political economy perspective and Robyn from an experimental one — and we were both fascinated by Garrett Hardin’s famous paper. As a political scientist, of course, I knew very little about running experiments, but under Robyn’s tutelage I rapidly learned, and we started a succession of projects that, with support from the NSF, built on each other. Alphons van de Kragt, a graduate student in Sociology, joined us as research assistant. The joke was that Alphons counted, I wrote, and Robyn thought — although, in fact, it was a real interaction that produced work none of us could have produced alone. Sadly, Alphons died in 1989, far too young. But research papers and experimental paradigms get out of date, as they should, and I’m happy to say that the study of cooperative behavior has advanced a long way since those days. The more important and lasting legacy from those times was the friendship that evolved among us. I suspect that friendships among men are particularly likely to develop when there’s some shared task, but it’s also true that Robyn and I couldn’t have done the work we did without a firm basis of friendship in the first place. Because there was no mistaking the force of Robyn’s intellect, I was delighted to discover that, in many ways, we thought in more or less the same terms, shared the same rather macabre sense of humor, and enjoyed telling stories about the irrationality of events in our respective academic worlds. Given my own experiences during those years, it was a real luxury to hear Robyn laugh at my accounts; without that, I might have taken them seriously. When Robyn moved to CMU, we kept things going for five or six years, but —absent the day-to-day interaction we’d had at Oregon — eventually we went different intellectual ways. I tried but failed to get him interested in Evolutionary Psychology, and he tried but failed to get me involved in a succession of his (seemingly endless) flow of ideas. But that didn’t matter. We were in constant touch, read each others’ papers, exchanged things we found interesting, and most important, my wife Sandi and I socialized with Robyn and Mary on an annual basis when they visited Yahachts on the Oregon coast, as they did every summer. Robyn and I were young when we met (we’re almost exactly the same age) and our friendship took us into what — to my horror — I hear called “elderly.” But he made getting here a whole lot more fun than it could possibly have been had we not met in that campaign meeting 43 years ago. Robyn and I were colleagues at the University of Oregon for 16 years, and our friendship only grew stronger after he moved to Carnegie Mellon. He and Mary visited Oregon almost every summer, and every summer our conversation and friendship resumed as if there had been no interruption. I came to love Robyn for two qualities. The first was his intellectual fearlessness. Although he could be fearful in his personal life, he was not so in his thinking. He would follow an idea wherever it led, and if Robyn really believed a set of research findings, he adjusted his thinking and behavior accordingly. He did not simply do research and theory, helived it. The second quality was his generosity and devotion to friends. I had a long period confined to bed with low back pain. Robyn visited regularly, and for long periods, even though I was too drugged to hold up my part of the conversation. If keeping up with Robyn’s thinking is difficult under normal conditions, doing so while on opiates is strongly counter-indicated. Unfortunately, I never did convey to Robyn how profoundly I appreciated his visits. They could not have been easy for him, but they made me feel as if I were still part of the world. Perhaps this is an aspect of Robyn’s generosity, but he gave some of us much too much credit by assuming we were thinking what he was thinking. That is why he could begin a conversation in the middle of a sentence; suddenly resume a conversation that began months earlier; or make an argument by starting with a premise, ending with a conclusion, and leaving out the 14 intervening logical steps. I was out of the country when Robyn passed away, and the news of his death came as a shock. It will take us a long time to accept the loss of this dear person. Robyn Dawes invited me to a research meeting in the beginning of my sabbatical year at the University of Oregon in 1981-1982. It was an evening meeting at his home, and as I approached the house I could hear a piano concerto, obviously a recording. As previously instructed, I went in through the unlocked back door. There was no CD player or phonograph in the living room and Robyn was at the piano, playing the concerto. Some years later, Robyn shared a CD of music he had composed. One day while we sat in his office, Robyn said he had to depart for an advanced mathematics course. “I like to take one per year to remain sharp,” he said. I remember hoping that Robyn didn’t take any of the tests, thereby alienating the math grad students by blowing the top off of the curve. A few times my phone would ring, I would answer, and it was Robyn. He would not identify himself but would instead excitedly “begin” at the middle of some research idea he had been thinking about for a while. Keeping up with Robyn was challenging enough at the beginning of a research conversation. Entering a research discussion at half-time posed no problem for Robyn, so I think he assumed that others could do so, too. I could go on with more examples of how Robyn kept surprising me with his talents. What I admired most about Robyn was his integrity. I am aware of two professional organizations or committees from which Robyn resigned because he thought that their official decisions were inconsistent with empirical data. He would not allow his name to be associated with unethical professional behavior. Robyn went where the data led him, and he thought that other psychologists should do likewise. Among pioneers in the judgment/decision-making field, Robyn was unusual in that much of his training was in clinical psychology. (His co-author, Paul Meehl, was another member of this small group.) Robyn’s dissatisfaction with the lack of scientific basis for clinicians’ judgments contributed to his reputation as an iconoclast. My conversations with him led me to believe that Robyn simply felt that acting contrary to evidence-based procedures was a serious ethical breach that responsible professionals must avoid. Robyn’s everyday behavior was perfectly suited for his professional role as a leader of the judgment/decision-making research community. In one incident, he ate only half of a doughnut and threw the rest in the garbage can. A companion fished the discarded half out of the garbage exclaiming, “You are wasting half of the doughnut you paid for!” Robyn calmly pointed out the cost-benefit aspects of continuing to eat something one no longer wanted and the wisdom of ignoring sunk costs. One of my favorite photographs of Robyn was taken at a meeting of the Eugene Oregon City Council. It is a picture of him sitting in the audience holding his head in pained amazement as he listened to the questionable reasoning of a Eugene citizen who was addressing the Council. Logic came naturally to Robyn, a former philosophy major. Those of us who were privileged to know and collaborate with Robyn will dearly miss him. After reading Mathematical Psychology, by Coombs, Dawes, and Tversky, Robyn immediately loomed giant in my eyes. I was awed when I first met him in the late 1970s, but too shy to approach him then. By the 1980s, we had become friends, and in 1988/89 he invited me to spend a sabbatical year at Carnegie-Mellon. That year sealed our friendship, and I later arranged a short sabbatical for Robyn at The Hebrew University. I remember going out with him to rent a piano for his Jerusalem apartment, without which he said he couldn’t live, and encountering an anomaly that was never solved. We wanted a rental piano, but the store insisted that it could only sell us one, promising to buy it back when Robyn left Israel for the full selling price. The deal, which they gave us in writing, was perplexing, but the store was an old and reputable one, so we accepted the offer. Robyn played the piano till the end of the sabbatical, and I had to arrange its pickup and return to the store after he left, hoping desperately that I would not be stuck with a piano. The story has a happy, if enigmatic, end: we got the full price back! We never found a truly satisfactory account for what we both believed was an irrational deal (the store’s net was far less than had they rented us the piano), but putting trust in their promise (which friends who heard of the story all assured me was irrational naiveté on our part) was justified by the outcome. Our friendship was based largely on endless conversations on the topics dear to him: music, history and politics, but mostly psychology. It was fascinating to hear him talk, because of both what he had to say and how he said it. Robyn spoke to others (well, to me, at least) as if he were speaking to himself. This was pretty challenging, because Robyn didn’t make allowances for the fact that I wasn’t him and didn’t always know what he was talking about, what he meant, or where he was coming from — in fact, I often didn’t even know what page he was on. Running into me in the corridor somewhere, he would open his mouth and speak out loud the continuation of the thoughts he was thinking just before we met. But how great were the rewards of figuring out what those were or getting him to slow down and explain! The list goes on and on, full of the kind of papers you wanted to run and tell your students and colleagues about hot off the press. Robyn thought mathematically and often communicated his thoughts through formulas. But his thought was not driven only by the mathematics, and you could always discern the narrative problem that the math was utilized to analyze. Indeed, Robyn had the gift of the gab, and could spin a great story around his thoughts, full of warmth and humor – and courage. Mathematics brought precision and rigor to ideas that came from creativity and wise observation. As well as being a superb theoretician, Robyn was a sophisticated and rigorous experimentalist, whose experiments yielded results both completely surprising and completely compelling. I feel privileged to have known Robyn, and I will miss our not-frequent-enough encounters and exchanges. The field will be less quirky, less insightful, and less startling without the benefit of seeing it through the eyes of Robyn Dawes. In the mid-1970s, Robyn Dawes was a visiting professor in the Psychology Department at the University of California, Santa Barbara. I think that the department (that is to say, Chuck McClintock, Dave Messick, and Marilynn Brewer with support from Daphne Bugental) was keen on luring him away from the University of Oregon. Robyn was familiar to all of us first-year students because he taught the introductory statistics course. At that time, Marilynn Brewer had a large house on Del Playa, just across from People’s Park, a bluff in Isla Vista overlooking the Pacific Ocean. It was a casual place where students, faculty, and visitors from all over the country often came together over dinner for spirited conversation and other festivities and adventures. At various times over the Del Playa years, visitors included Bob Wyer, Phil Zimbardo, Donald Campbell, and even Robert Trivers. Robyn was folded into the ongoing activity at Del Playa, including a Halloween party where he came in a bright red devil costume. But one of the funniest incidents concerned the grand piano. Marilynn bought one hoping that Robyn would be a positive model for the kids (in her dreams! Hence the recruitment conspiracy theory). It was a great sight to see the piano raised by forklift over the balcony, with the ocean shining in the background, and finally, as all held their breath, pushed through the sliding door opening and into the living room on the second floor! Robyn loved playing that piano, and I believe that he composed “Yankee Doodle Dandy” on it, but alas, the children never played, to their current regret. UCSB might have been able to lure Robyn away from the University of Oregon, but that wasn’t the real competition. It was the Institute of Decision Sciences. Much as Robyn has railed against stories in his writing, it was through his stories about the work and people there, which he clearly loved, that many of us first learned — and then taught — his view of rational choice. For me, one of his most important lessons was the value of the negative, of the not. What data don’t we see? What question have we not asked? What base rate have we ignored? Robyn loathed ignorance, but praised the hard admission of it. As agent provocateur, a just man, an extraordinary intellect, an artist, and a teacher, Robyn Dawes will not be easily forgotten. Robyn Dawes was an intellectual and moral force in psychology who cannot be replaced. While most of us spent our careers trying to ferret out answers to a few of the many questions our science posed, Robyn looked at these questions and changed them. He asked better questions. Instead of asking how “experts” made judgments and predictions, he asked if experts were any better than simple mechanical prediction machines. The answer — “no,” of course — provoked a ferocious controversy. Instead of asking why people do or do not cooperate in social dilemmas, he asked what they would do if they could blow the whole game off and exit. Instead of asking about the influences on the so-called “false consensus effect,” he asked if it was truly a “false” consensus or rather the product of rational information processing. His work was characterized by a rare combination of rigor and creativity, both theoretically and methodologically. When he saw flaws or confounds, he would invent a new theory or technique that was better. These qualities made his scientific work a pleasure to read. Whatever his mission, Robyn had the zeal of a crusader and the energy of the righteous. For Robyn, reason was never “merely” reason — it was the touchstone of morality and human goodness. Ignorance and irrationality were diseases that afflicted our species, and his goal was to create a cure. He will be sorely missed. As I came to know Robyn, I found that this work typified his approach to science. Keep it simple. Don’t claim more knowledge than you have. Be sure that others benefit from your work. That approach was seen in his impatience with clinical practices (treatments, custody decisions) unsupported by research, in his bewilderment at speakers who set up their studies as having inevitable outcomes (“why do it, if you know what’s going to happen?”), and in his commitment to acting on evidence, like that showing the effectiveness of needle exchange programs for reducing HIV transmission (and his support of Prevention Point in Pittsburgh). His science came from his heart. Although we had proximal offices for more than 30 years, Robyn and I only had one joint publication, as numbers one and five on a nine-author paper, in which I provided the impetus for a departmental project and Robyn provided the key insight. Yet, still he was as valued a collaborator as I could ever have hoped to have. Dawes, R.M., & Corrigan, B. (1974). Linear models in decision making. Psychological Bulletin, 81, 95-106. Howard, J.W., & Dawes, R.M. (1976). Linear prediction of marital happiness. Personality and Social Psychology Bulletin, 2, 478-480. Robyn Dawes, a brilliant researcher and writer, made monumental contributions to behavioral decision research. These contributions will receive detailed and comprehensive review in other publications. My limited goal here is to share some remembrances about this remarkable man. Some distant observers may think of Robyn Dawes as a curmudgeon and a contrarian. He seemed to enjoy that reputation. When I joined the faculty at Carnegie Mellon, I therefore did not expect to become chums with Robyn Dawes. For the first few months I was afraid to sit next to Robyn during our department’s weekly seminar series. I feared two things in particular. First, he might ask me to evaluate the page of equations he wrote down during each seminar and decide if I thought the output of these equations refuted the speaker’s results. Typically the equations filled the page; the only words written beside the calculations were, “What do you think?” It took me a while to realize that if I responded with words instead of numbers, Robyn would too. That solved this fear. More importantly, I realized that Robyn was not trying to test me. He simply took great intellectual joy in considering probability with his colleagues, and equations were the most efficient way for him to do so. I grew to love my exchanges with him. Robyn’s behavior during our seminars illuminates one of his most charming characteristics: He assumed that his colleagues were at least as smart as he was — a faulty assumption in my case! Indeed, he would often start describing a problem in the middle rather than from the beginning because he didn’t want to “bore me” with background that he assumed (falsely) I already knew. The second reason I worried about sitting next to Robyn during seminars was less a fear than a monitoring problem. Robyn liked to get coffee from the side bar during the seminars, but he didn’t want to miss a moment of the speaker’s talk. As Robyn carried his cup back to his seat, eyes glued on the projection screen, coffee sloshed to the floor in dribs and drabs the whole way. I kept an eye on Robyn’s cup at all times, a small price to pay for the joy of sitting next to him and watching him think. Contrary to my expectations, Robyn and I did become chums. We regularly sat in each other’s office discussing ideas, attended the same weekly religious service (although Robyn insisted he was not religious), socialized with our families, and tried to outdo each other with “You can’t believe this…” stories. He and his wife, Mary, dropped by our home so often that Robyn became like a grandfather to my daughter. I quickly learned that this so-called “curmudgeon” hid a huge heart. Robyn was brilliant, quirky, and wise. He had a remarkable presence: One always wanted to know what Robyn thought and what he would say, and it was never predictable. His intellectual range was remarkable, from mathematics to the biology of cooperation. He was a clear and bold thinker, but there was more to Robyn’s presence than clear thinking. The emotional range of his intellectual life was also uncommon: Few could match the intensity of his delight in a good idea, especially if it challenged accepted wisdom, and no one could match the passionate indignation of his response to professional dishonesty. Robyn left an impressive legacy. His early work on the robust beauty of improper predictive models was an instant classic, and he co-authored a gem on the same topic 25 years later. Robyn was far ahead of his time in his ideas about prediction, and social science has yet to catch up with his original insight. He performed an important service to the field in extending and updating the early work of Paul Meehl, an intellectual hero to Robyn and to many of us. His long-term collaboration with John Orbell on the topic of social dilemmas introduced a new approach to a central problem in social science and a new challenge to the narrow model of selfish rationality. And, of course, for those who knew Robyn, the memory of his quizzical smile is another legacy.